​Tempers are HIGH right now at Fenway Park. Down 2-0, the Boston Red Sox were able to tie things up at 2-2 on a bases-loaded walk and a Justin Verlander wild pitch. Yeah, talk about evening things up the unconventional way. 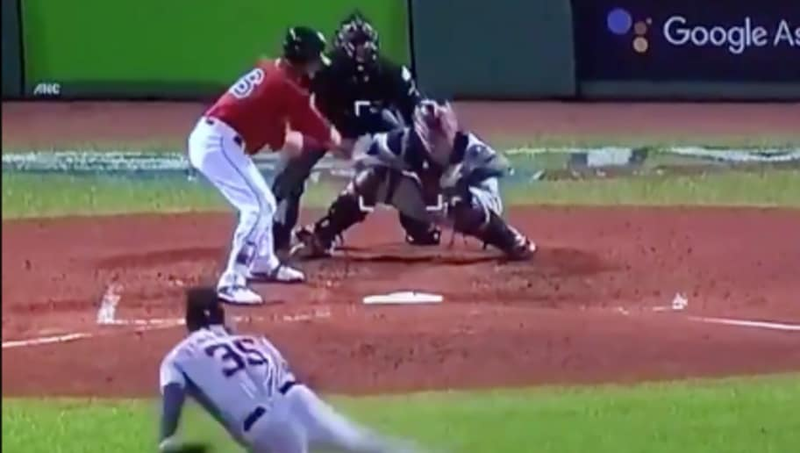 However, with the bases still juiced and two outs, Andrew Benintendi was at the plate looking to give Boston the lead. Instead, home plate umpire James Hoye called a (terrible) strike three to end the inning. Alex Cora was furious with the call and was told to hit the showers moments later. Alex Cora has been ejected, arguing the called third strike on Benintendi that ended the fifth. ​​If you're watching the game live, you saw just how bad of a call it was. Is that Hoye or Angel Hernandez behind the plate? The pitch was at least six inches off the plate, yet that's what ended the inning. Just ridiculous. This call should not have been made. Hopefully Boston can earn a win even with Cora watching this one from the clubhouse.